Rolls-Royce has confirmed that a faulty engine part caused an oil fire which led to a Qantas Airbus A380 having to make an emergency landing at Changi (Singapore). It noted the problem was "specific to the Trent 900" engine, and in particular a component in the turbine area. Inspections are ongoing and the company said it would be replacing the faulty part in all the engines affected. 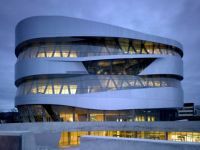 Hampton Hotels, a Hilton brand very much in the mid-priced hotel segment, has opened its first property in Berlin, also its first in Continental Europe. Located in the heart of western Berlin, the 214-guestroom hotel is just a ten-minute walk from a range of attractions such as the Kaiser Wilhelm Memorial Church, the Berlin Zoo and Aquarium, and countless bars and restaurants around the Savigny Platz. Rooms on the seventh floor provide extra comfort with individual terraces that offer great views over Berlin. There are four meeting rooms, as well as a fitness area and free onsite parking. Also provided is complimentary wi-fi. Boeing’s ‘Big Twin’ 777, in its long range version, is the latest aircraft to join the VIP fleet provided by Aviation Link Co in the Middle East. 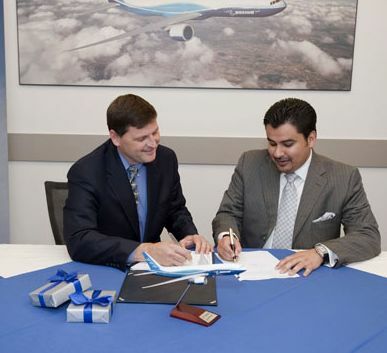 The 777-200LR interior completion work will begin at Amac Aerospace of Basel, Switzerland, later this month. 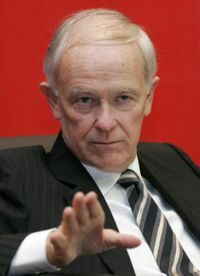 An undisclosed, private owner in the Middle East will take delivery of the aeroplane after VIP cabin completion in 2012. “Despite the global economic downturn, the Middle East region remains a very strong market for both single-aisle and twin-aisle VIP airplanes,” said Steve Taylor, President of Boeing Business Jets. 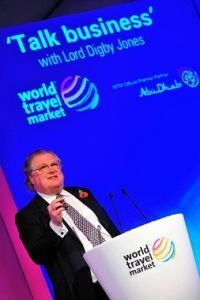 He said that the airport was investing US$3.5bn into a new Concourse 3, exclusively for handling Emirates Airline A380s. This is expected to be completed by late 2012. Although the target figure was 60m passengers per year the airport could handle up to 90m passengers. Jebel Ali is supposed to have a limit of 120m. 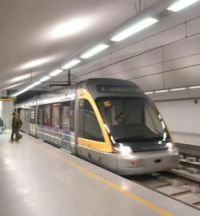 Dublin is to get an Underground rail system (in fact partial – about 5 miles under the ground) connecting the centre of the city and the airport. There will be 17 stops and it is estimated that 35m passengers a year will use the service, which will travel between St Stephens Green and the airport in 20 minutes. It is estimated to cost in the region of €3bn, with the majority of the funds coming from private investors and the remainder from the State. Trains will run every two minutes at peak times with a capacity for 20,000 people in each direction per hour. It is also know as Metro North. 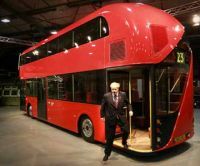 London’s new double-decker bus was unveiled by Mayor Boris Johnson last Thursday. It is a true successor to the very popular Routemaster with its rear entry deck. A full-size mock-up of the design revealed a layout that allows passengers to hop on and off. There are three entrances, two staircases plus panoramic windows, and it will have much more fuel-efficient engines. With a conductor in place the double-deckers will be far quicker than the hated bendy bus which proved to be unsuitable for London roads. Qatar Airways has announced it is bringing forward the launch date of its new Stuttgart route due to strong demand for the airline’s fourth German destination. 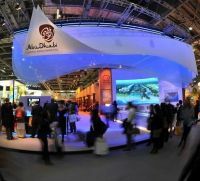 The Doha-based carrier will start its scheduled three times a week service between the capital city of Qatar and Stuttgart on 6 March 2011. The route will be operated with an Airbus A319 single-aisle aircraft and features a capacity of 110 seats – eight in Business Class and 102 in Economy. The aircraft is equipped with the Oryx Entertainment system offering individual TV touch screens in each seat and over 700 audio video entertainment options across both cabins. It also features OnAir mobile telecommunication technology allowing passengers to send and receive SMS and MMS messages, as well as browse the web using their internet-enabled mobile device. Air Astana, 49% owned by BAe Systems and flag carrier of the Republic of Kazakhstan, is launching a series of new routes from Almaty, Astana and Aktau to destinations in Russia, Tajikistan, Uzbekistan and Turkey during November and December. 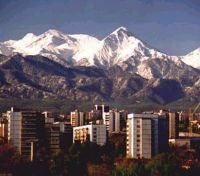 The new services from Almaty include St Petersburg (twice weekly from 2 December); Dushanbe, capital of Tajikistan (three times weekly from 21 November) and Tashkent, capital of Uzbekistan (three times weekly from 2 December). Twice weekly services from Astana, capital of Kazakhstan to Yekaterinburg in southern Russia will commence on 8 December. A new once a week service from Aktau in western Kazakhstan to Istanbul will commence on 28 November. Birmingham Airport is reverting to its original name, dropping “International” from the title. AERBT has always called it Birmingham Airport and in fact it was once named Elmdon. Heathrow is Heathrow (OK RAF Heath Row for a very short time) and Gatwick seems to have disposed of the ‘London’ moniker as well. East Midlands Airport has quietly noted its allegiance adding Derby and Leicester, those cities joining the Nottingham name it took several years back. In both cases the three letter codes remain the same, BHX and EMA respectively. 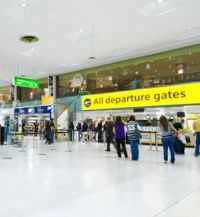 In the spring of next year the airport will unveil a £13m redevelopment programme linking the two current terminals as one, offering new shops and restaurants, and offering an increased security search area. 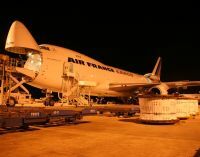 Air France has topped a list of 11 airlines fined by the EU for cargo price fixing. 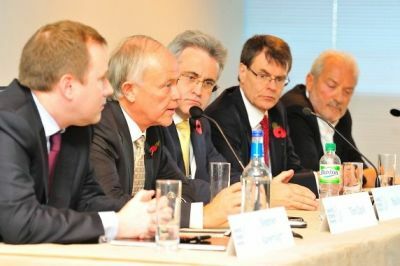 Others involved include Air Canada, British Airways, Cargolux, Cathay Pacific, Japan Airlines, KLM, LAN Chile, Martinair, Qantas, SAS and Singapore Airlines. The decision leaves the carriers vulnerable to major compensation claims . The EU Competition Commission said the cartel was “deplorable” and fined the companies €799m (£688.4m) in total, following a four-year investigation. 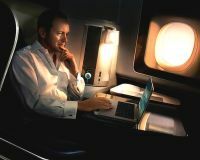 British Airways is to introduce its First service onto the Heathrow – Las Vegas route from the start of the summer season 2011. A four-class B747 offering BA’s First cabin will replace the three-class Boeing 777 that has been operating the service since October 2009. The new aircraft will offer an extra 124 seats in all, including the 14 seats in First. 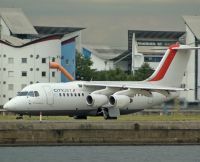 CityJet, a division of Air France, will be offering flights during the festive period to Brive in the Dordogne and Deauville, Normandy. Additionally the new route to Florence, due to start on 10 January will operate with a limited service from 22 December 2010. S7 Airlines, Russia’s leading domestic carrier, has today (15 November) officially become a member of the oneworld alliance. 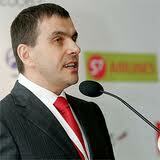 Its subsidiary Globus joined at the same time, as an affiliate member. S7 and Globus between them serve 90 destinations and 28 countries. They add 55 destinations in Russia and the Commonwealth of Independent States to the oneworld schedule, and nine countries, in Armenia, Azerbaijan, Georgia, Kazakhstan, Kyrgyzstan, Moldova, Tajikistan, Turkmenistan and Uzbekistan. This has almost tripled the number of destinations served by oneworld in Russia, the CIS and other parts of East Europe to a total 84 destinations in 26 countries. Skymark Airlines, Japan’s third largest and growing airline, has signed a memorandum of understanding (MoU) with Airbus for the purchase of four A380s bring the total sales and commitments to 234 from 17 customers. The aircraft will be operated on major international long haul routes from Tokyo. Engine choice and cabin details will be revealed at a later stage. The aircraft’s runway performance will enable it to operate on the shorter 2,500m runways at both Narita and Haneda airports carrying a full passenger payload and cargo to destinations in Europe, North America and Australia. Heathrow was the star performer as BAA Ltd posted a 3.4% increase in total passenger numbers for October, boosted by a recovery in the level of business travel. Actual flights rose by 1.2% meaning that the airline load factor also prospered. At Heathrow numbers were up by 7.2%, but Stansted again suffered with another fall, this time by 3.1% the annual figure now running at below 20m. Both Glasgow (down 7.4%) and Aberdeen (down 5%) continued to experience a period of contracting traffic. 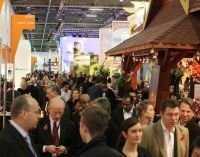 A 10.6% increase in Heathrow's European travel fuels hope that the continent's economic recovery is beginning to stabilise. Key routes with substantial increases included Geneva up 59.9%, Milan up 30.1%, Moscow up 27.5% and Berlin up 25.6%. Long haul trips between Heathrow and China and Hong Kong increased by 16.1%, up by 23,000 from 150,000 to 173,000. The increase came even though the hub's limited capacity means it can only directly serve two destinations in China compared to three from Paris, four from Frankfurt and five from Amsterdam. Unite, the umbrella organisation for BA’s BASSA and Cabin Crew 89 unions has gone back on its word to recommend accepting the airline’s offer to resolve the long running employment dispute. The continuance of the problem is bad news for the airline, and ultimately not good for the staff either. 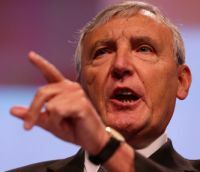 In a statement BASSA said: "There are some good parts within BA's offer, in particular their acceptance of binding independent ACAS arbitration, but there are many other clauses which we simply, as a trade union, cannot recommend." Boeing has issued a statement noting that during an approach to Laredo, Texas, last Tuesday (9 November), aircraft ZA002 lost primary electrical power as a result of an onboard electrical fire. Backup systems, including the deployment of the Ram Air Turbine (RAT), functioned as expected and allowed the crew to complete a safe landing. All test flights of the 787 were cancelled and are expected to resume shortly. Initial checks appears to indicate that a power control panel in the aft electronics bay will need to be replaced on that aircraft and inspections of the power panel and surrounding area are being carried out. 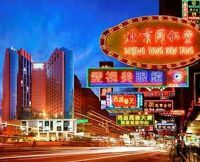 The Eaton Hotel Hong Kong has been rebranded as the Eaton Smart, Hong Kong. As part of a complete refurbishing project the hotel, a division of the Langham Group, has spent over HK$10m on refurbishing the lobby which includes a new reception, retail shop, internet portal and indoor and outdoor bar areas. The property has 465 rooms and an outside heated swimming pool. There is internet throughout the hotel. KLM Royal Dutch Airlines is to serve Miami with a four times weekly service commencing from the start of the summer schedule on 27 March 2011. This re-launches KLM's direct flights to Miami which were suspended in September 2004. Government departure taxes levied in Germany and the UK are seen as adding to the attractions of Amsterdam as a European gateway airport. KLM will operate this service using MD-11 equipment. This aircraft seats 285 passengers – 24 in World Business Class, 38 in Economy Comfort and 223 in Economy. All seats are equipped with a personal screen and interactive entertainment. Avianca, Copa and Taca, all important airlines in the central/Latin America region are to join the Star Alliance. Avianca owns Taca (and Aerogal), and is listed on the Columbian Stock Exchange, and has routes to Europe. 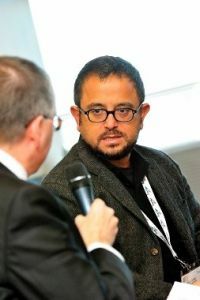 The combined network gives Star Alliance a more prominent footprint in Central America, the Caribbean and the northern and western regions of South America, as well as additional direct connections between Latin America and cities in Europe.